Disclaimer: I received an author-signed paperback of this book via The Book Club in return for my honest review. When her great- grandson accidentally discovers the secret in 2065, he is perplexed by the malice that flowed in his family’s blood. Was it just the secret or his family would have destroyed itself even in its absence? Why was their love never greater than their unsaid expectations from each other? 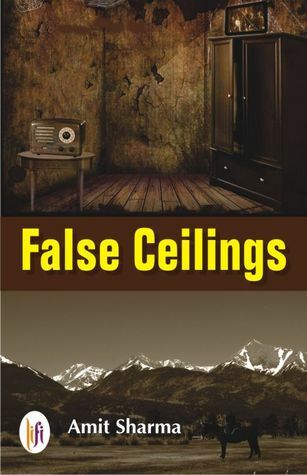 ‘False Ceilings’ is a family saga spanning five generations, set from Dalhousie to Delhi, from yesteryears to our future. Yes, it also gives a glimpse of how the future world would be; complete with sensors and gadgets operating with voice commands. The story is centered around Shakuntala and her love and dedication for her father. Author has packed quite a number of years, events, families and characters in 256 pages. Everything is bound by a secret which key member of the family harbors. 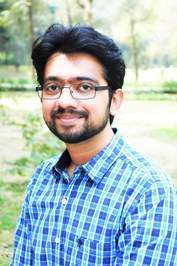 The novel starts with an intriguing event when a character Aaryan is writing a software algorithm in 2001, it moves to old Lipi in 2060 and then moves to Shankuntala’s birth. After that it jumps to other characters; one in each chapter. The stories are narrated like standalone biographies of characters with no connection with each other. Each of these are in separate time zones with focus on the main character’s emotions, problems, effect of events on their lives integrated with culture and era of those years. Author has good grasp on scenic descriptions and the picturesque Dalhousie and Delhi invite right kind of images, maintaining the interest of the readers. Characterization of each protagonists is deftly dealt with, and is the best part of the book. Though most of the characters and emotions are negative—bordering on hatred, anger and depression, it does keep the reader interested. Each characters life, behavior and emotions are expertly intertwined with subsequent era’s culture, happenings and events, even the political events. Full marks to the author for research. The non-linear narration going back and forth in time, creates a bit of a confusion in the middle. The transition between the timelines is abrupt and towards the end one has to read a few things again to get the family tree straight. The only thing which keeps one going is to know the secret wrapped in the yellow cloth. Coming to the secret which kept me hooked, but it kind of fell flat after such a prolong non-sequential narration. It left me a bit dissatisfied. The author has used complex vocabulary, at times usage is incorrect in the context, needing a good round of editing. the last ten years. He lives with his family in NCR. His wife is a teacher and they are blessed with a daughter who is in her terrible twos.